Sometimes you go into playing a game not really expecting too much. That was certainly the case for Starlink, something that looked ok but not something I would usually be excited about. 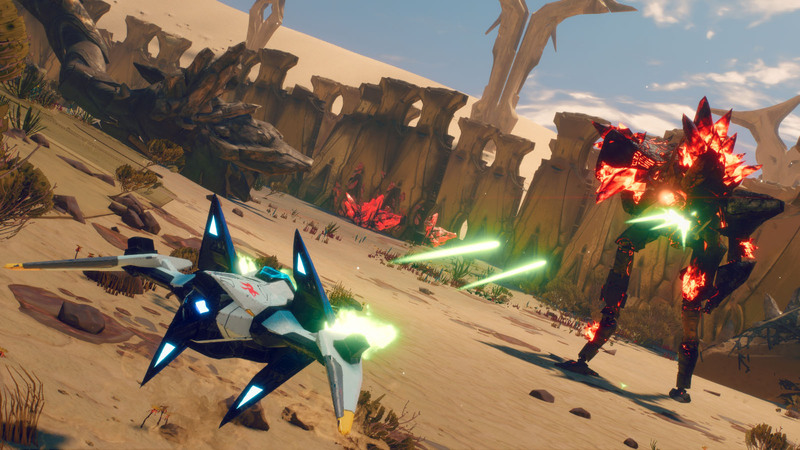 Then I played Ubisoft’s upcoming sci-fi action game and it was really, really impressive as you’ll see in my Starlink Battle for Atlas preview. I played Starlink on a whim. My expectations couldn’t have been any lower, but Starlink managed to blow them away. The choice of console was obvious too: the Switch has StarFox exclusive content. In a way, we finally have a good StarFox game again! Starlink Battle for Atlas releases on 16 October 2019 on PlayStation 4, Xbox One and Nintendo Switch. It’s safe to say I’m looking forward to it now, and you might be too by the end of this preview. Pilot Picked. Ship Loaded. Weapons Attached. Let’s Go! Looking down at the pieces before me, I admit I was intimidated at first. I’ve never been one for any of the toys-to-life genre. But Starlink matches theirs with a fascinating space combat game that caught my attention as I passed by the screens at EGX. My pilot easily fit on to Switch controller mount. The ship fits easily and quickly around it. Weapons load simply on to obvious slots around the ship. All in all, it was far easier than I’d anticipated getting started and the game provides easy-to-grasp instructions for those struggling. Though I didn’t have access to the StarFox pilots, I did have use of the Arwing for the first part of my mission. See a guide to how Starlink works exactly in the video above. Once the physical choices had been made, it was time for choosing some pilot skills and confirming the ship gear in-game. Following that, I warped into space, choosing my cluster of planets (separated by mission difficulty) and listened to the briefing as I manually navigated space at hyper-speed. It didn’t take long to reach the planet my mission took place on, where (in a No Man’s Sky-like fashion) I flew in directly from space down to the planet’s surface. The planet was a dusty, deserted wasteland. My mission: to destroy the central cores of these mysterious pillars whilst being ambushed by swarms of enemy forces. Using the classic Arwing of StarFox fame, I utilised its classic charge shot to great effect. Getting to grips with the controls can be a handful at first, but it definitely has a distinct, enjoyable feel. After taking heavy fire, I finally took down the pillars, only to be met with a follow-up mission: take down a huge, four-legged alien called the Arch Prime. On scale alone it was menacing, but it telegraphs its moves with a red, pulsating circle indication before it’s about to let loose with its attacks. After attacking the Arch Prime’s weak-spot, enemy swarms start to impede your path. It goes from one-on-one to crowd control aggressively and, sadly, the Arwing didn’t make it. Fortunately, the game allowed me to immediately load a new pilot and ship (which I had to-hand at the demo) and that’s where I got to experience the standard game ship that comes with the starter pack. Within seconds I was back in the action with a flamethrower and an ice ray – a stark contrast to my Arwing experience – having to engage the Arch Prime in much closer quarters. I lost myself in the experience. So much so that the staff at the booth had to tap me on the shoulder (politely) to let me know the time was up. That’s literally never happened to me during a game demo before. Everything about Starlink: Battle for Atlas – from the vibrant art style, the ease of customisation to the slick controls – had me hooked. And, given the options made available to me at the beginning of the demo, I barely scratched the surface. Starlink has huge amounts of potential. I love controlling the ships. Even the initial building process – the antithesis of, say, Nintendo Labo – is swift and simple. Plummeting down to a planet’s surface from space felt fun without dragging on. Right now, I’m just hungry for more of that experience. I have no negatives to speak of when it comes to how the game plays, but I believe this game will suffer from its cost. It’s £69.99 for its starter pack – already £20 beyond your typical game – and anybody enjoying the experience will no doubt want the extra ships, pilots and weapons available. Doing a quick calculation on Amazon, to get everything at launch (five pilots, three ships, the starter pack, three ships with exclusive pilots and four weapons) gamers are facing a £219.84 payout. It’s £5 cheaper on Nintendo Switch for the StarFox exclusive content, but the Arwing takes the place of the unique ship in the standard starter pack. It’s great to have so many options but those options don’t come cheap. That said, they are options. Only the Starter Pack is mandatory, and that falls in line price-wise with typical toys-to-life products. I’m very much looking forward to Starlink, but it faces tough competition this holiday season from some blockbuster games like Red Dead Redemption 2. It’s a quality experience from what I’ve played, however, so I sincerely hope it finds some legs. Lesser games have managed to do so on Switch alone. 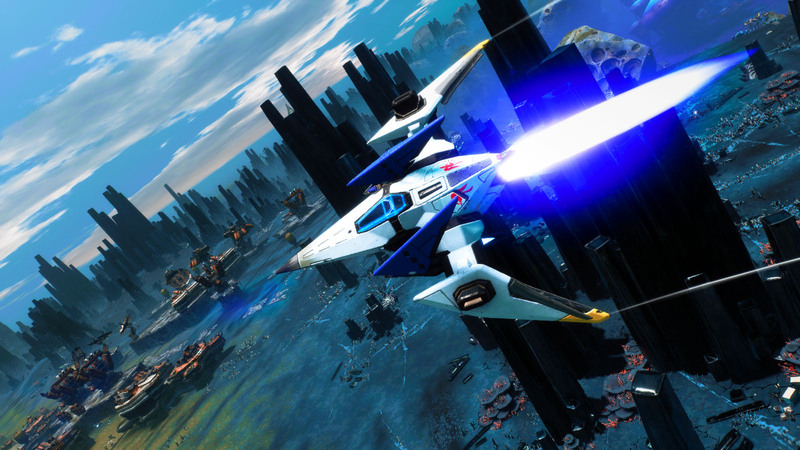 Will you be picking up Starlink Battle for Atlas? After what I had to say in Starlink Battle for Atlas preview, do you think you’ll be picking it up in October? Let me know what you think in the Disqus or Facebook Comments, “Yes” or “No” below. And don’t forget to Share This with other gamers that might be interested in this by using the easy share buttons below. When he's not reviewing the world, David Game spends his time providing himself with an alias that leaves nothing to the imagination. 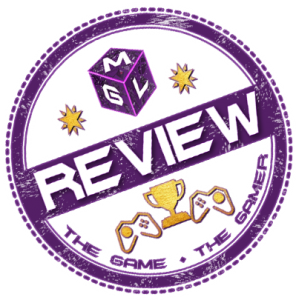 Visit his Twitter @DavidGameGames if you want to follow and be updated on most of the My Games Lounge review content! If Bioware’s Anthem fails to deliver, is it time to split-up with EA?